After two failed marriages and a harrowing escape from the drug life, she settles down to a quiet existence in Florida with her children--until her second husband tries to cut short his prison term by giving her name over to members of a new task force being formed by the DEA. They induce Pilar, now a middle-aged woman, to infiltrate the Cali cartel as the head of a vast money laundering sting. Named "Operation Princess," the scheme leads to the seizure of tens of millions of dollars, along with some $500 million worth of cocaine and the exposure of hundreds of high-level traffickers, becoming one of the most daring and successful stings in DEA history. But Pilar plays her part too well. 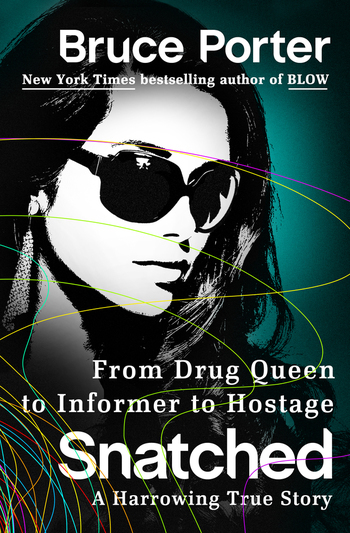 Her success as a money launderer gets her kidnapped and then ransomed by a band of guerrillas in South America--and the US government refuses to negotiate. It's left to her low-level handlers in the DEA to get her back, before it's too late and her kidnappers discover they have a federal agent in their clutches.